Learn how to create the stylish patterns found on everything from 17th century kimonos to modern high-fashion runways. The art of Shibori has been practised in Japan for centuries and encourages the artist to practise mindfulness and intention in their designs. There are an infinite number of ways to manipulate fabric before adding pigment, all with different (and stunning) results – so let’s get creative! 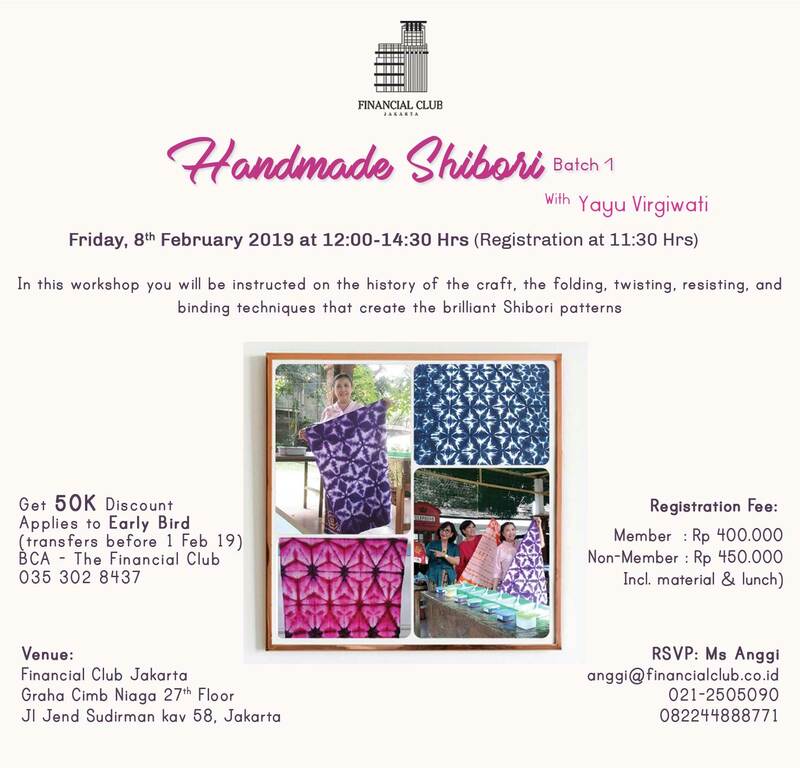 In this workshop you will be instructed on the history of the craft, the folding, twisting, resisting, and binding techniques that create the brilliant Shibori patters – and how to anticipate the outcome of your designs. • Business Workshop "Advanced Business Writing"